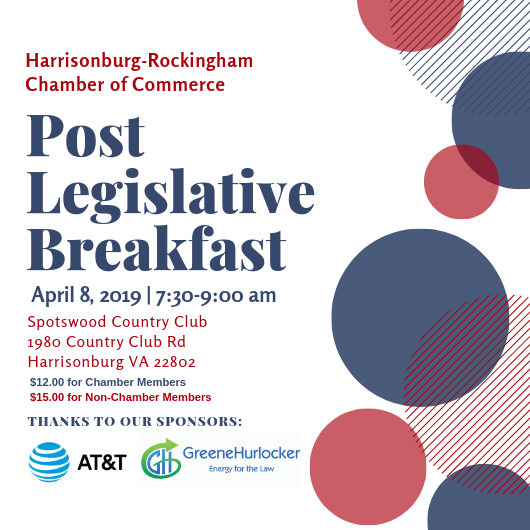 The annual Post-Session Legislative Breakfast is your opportunity to hear from our Senators and Delegates on the full impact of the 2019 General Assembly. Interested about I-81 and where do we go from here? Taxes, tax conformity and extra money were on the agenda... Who Won? Who Didn't?? Educators at all levels were keeping an eye on the General Assembly this year. How does that impact us? Were there any wins for Business, Industry and Agriculture?? ?